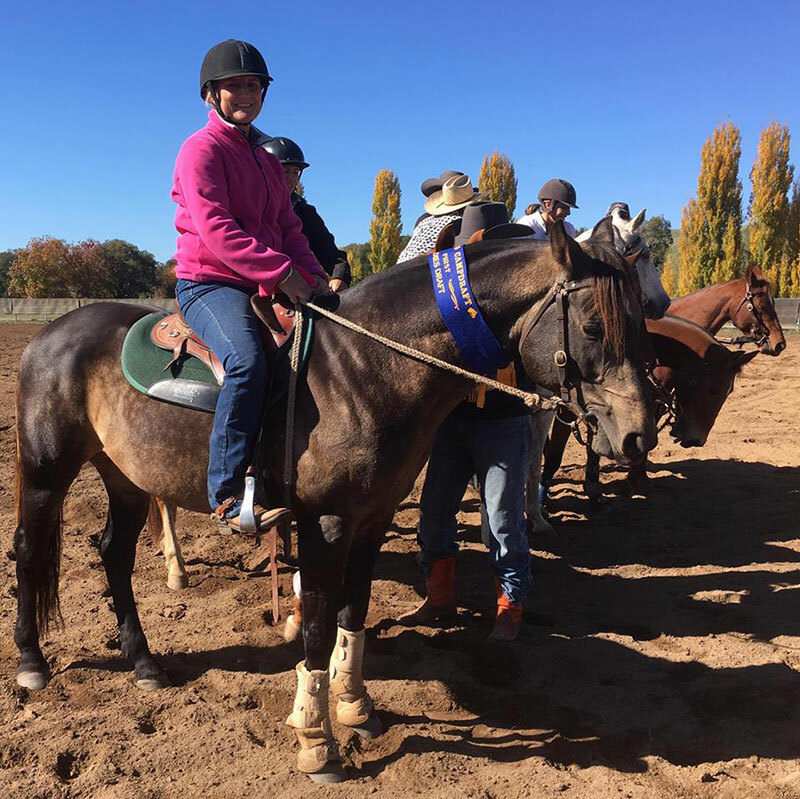 Ridden by the whole family. 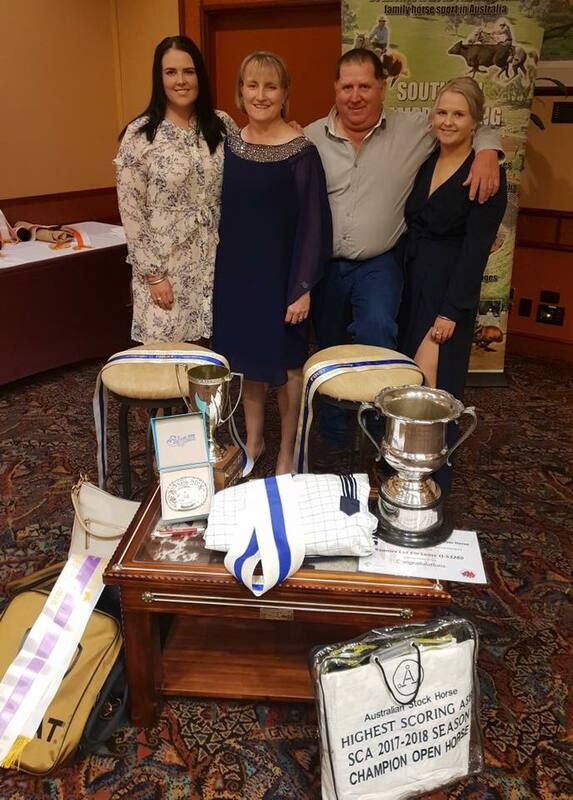 Winning for the whole family. 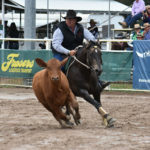 Photo by Sue Jones. 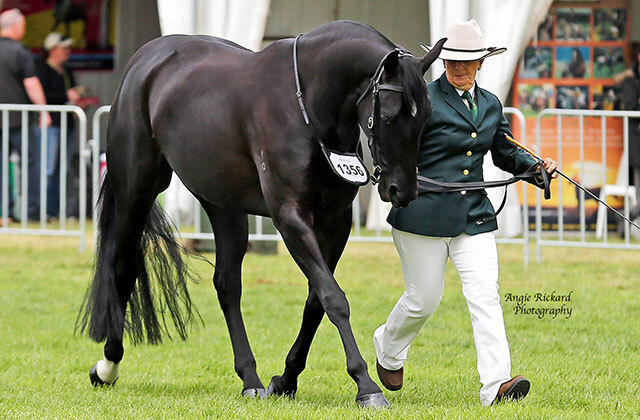 Wallabah Excel & Simon Dodwell, Landmark 2016. 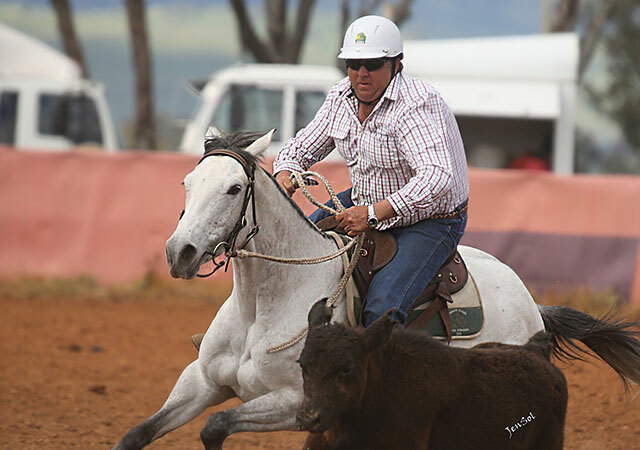 Wallabah Excel is a horse that all the family compete on and his ability and desire to compete make him ideal for the Yallata Park Stock Horse Stud vision. 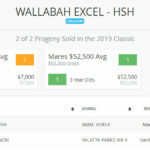 Simon and Debbie are continuing their quest to be among the elite competitors on a national level and with Wallabah Excel they are figuring prominently in the bigger feature drafts. $300 booking fee deductable but non-refundable. 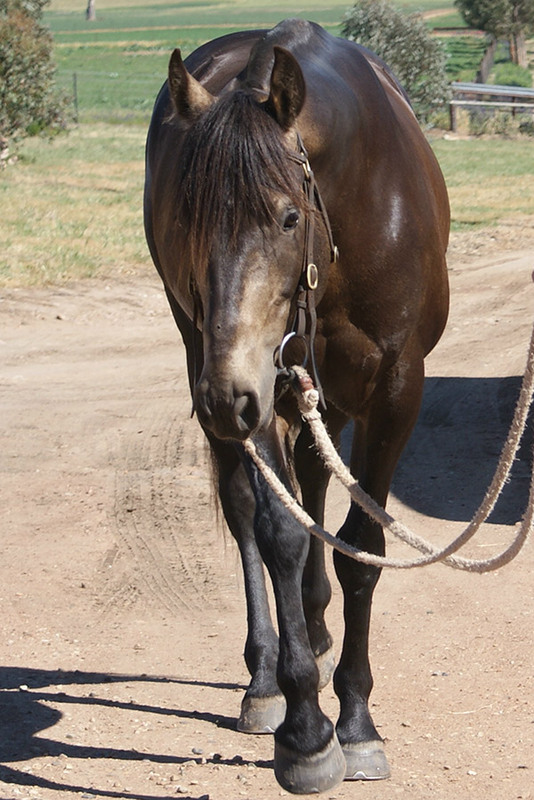 Discount for walk in, walk out mares. 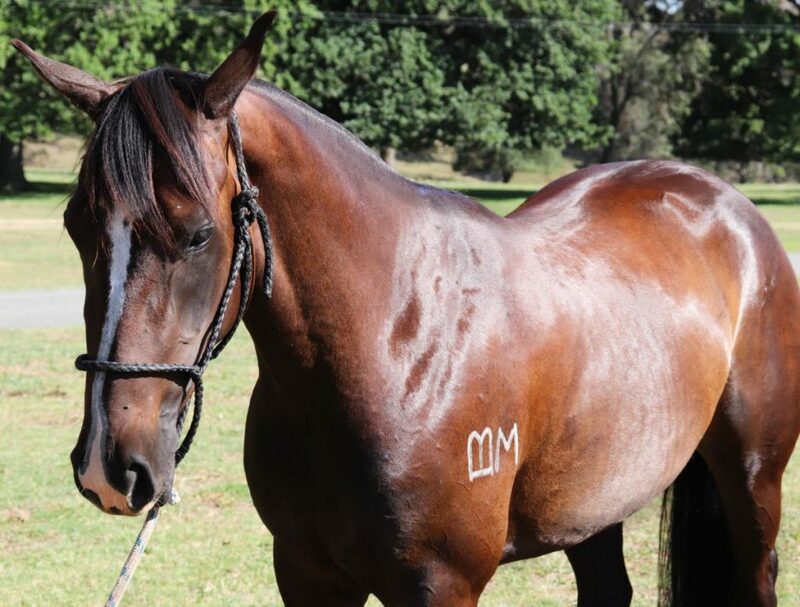 Contact owners for details. 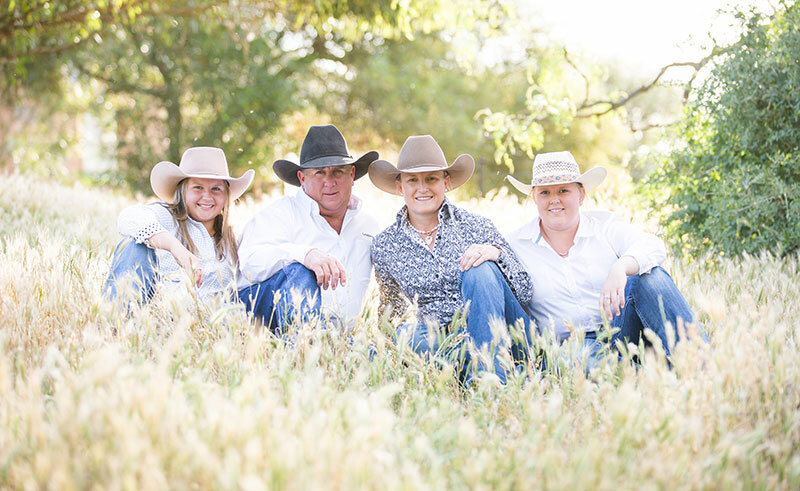 Simon and Debbie Dodwell have a simple vision for their Yalatta Park Stock Horse Stud. 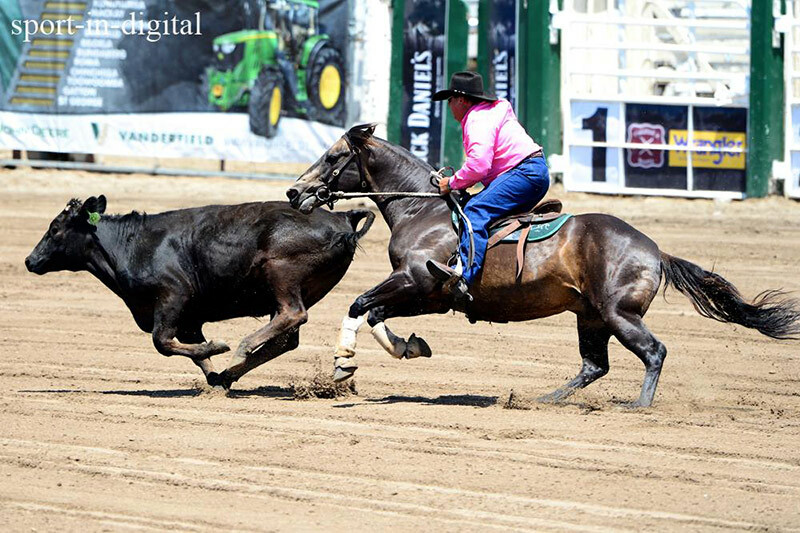 They wish to be as successful as possible on home bred horses. 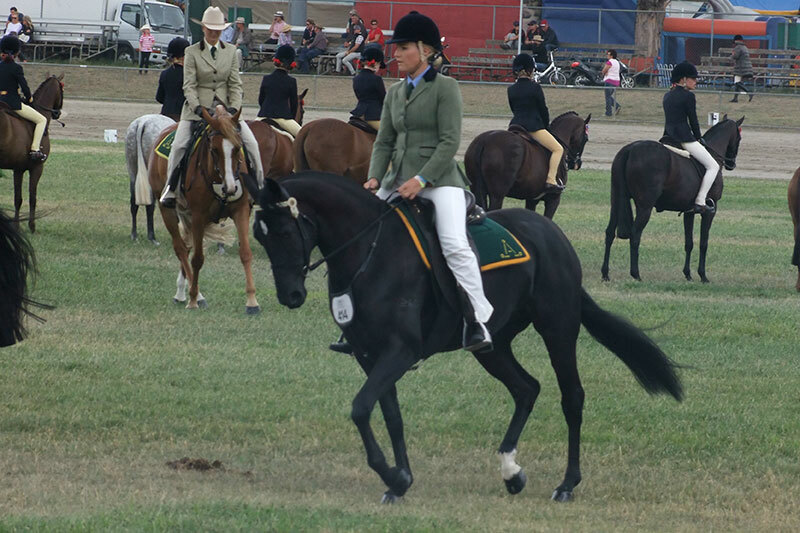 Both Simon and Debbie were involved with horses throughout their youth. 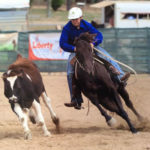 Simon and his family were regular campdrafters and Debbie competed at Pony Club and hacking shows before becoming interested in the campdraft discipline. 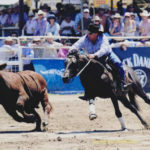 After marrying they continued to compete in campdrafts within the Riverina area of NSW with their stock horses, but as Simon was a fan of the stock horse/quarter horse cross he started looking for a quarter horse colt to use with his mares. 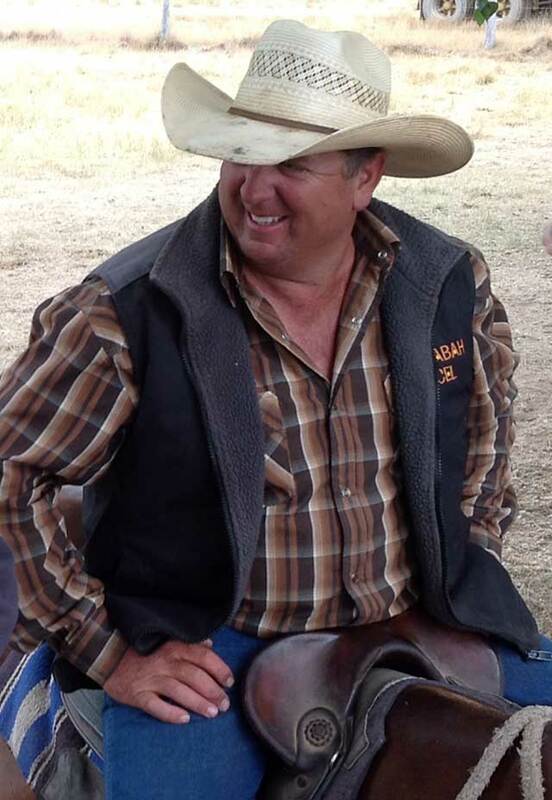 They purchased their quarter horse stallion A1 Tasso from Graham Amos as a yearling colt. 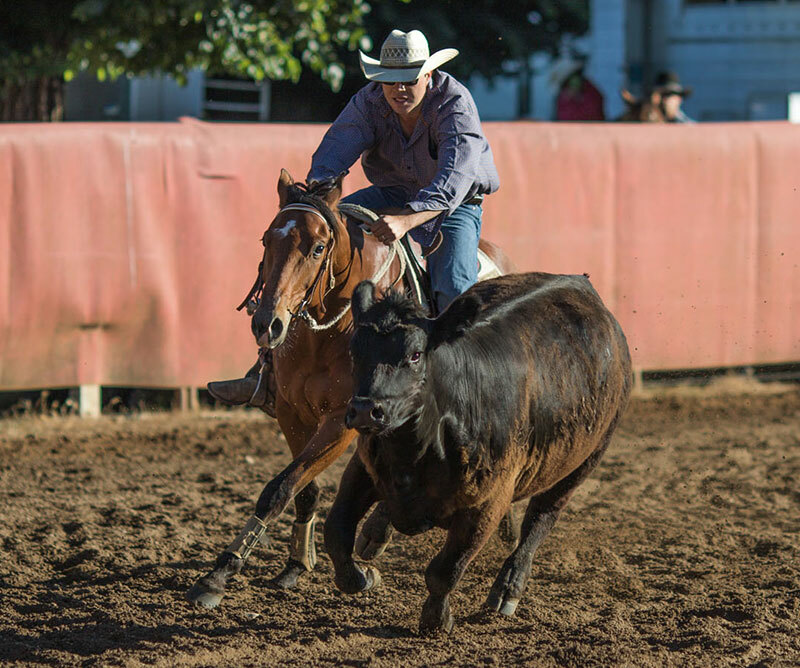 Simon broke him in and took him successfully through his campdraft classes, eventually winning 12 Opens. 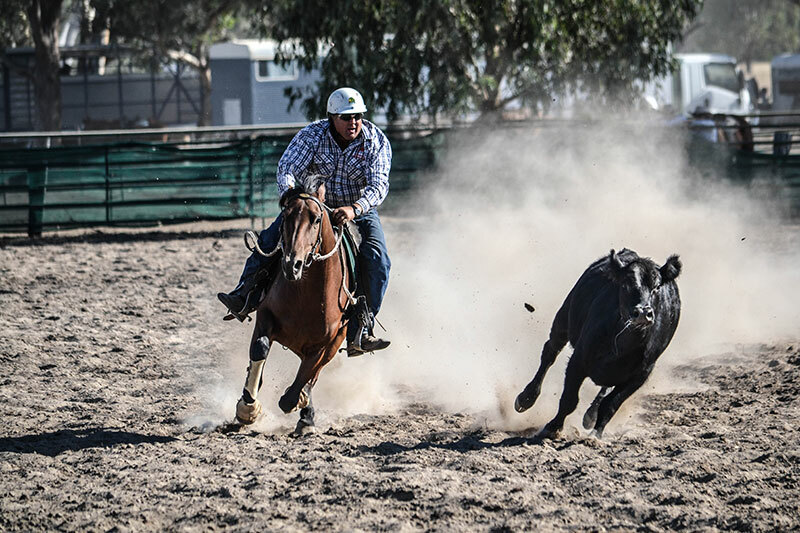 Continuing to compete with A1 Tasso and his progeny and becoming more successful within their region, Simon decided it was time to take on the bigger competitions. 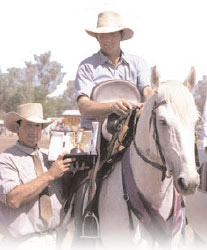 His first trip “north” was to attend the Jnr/Snr Quarter Horse Show in Tamworth in about 1989. 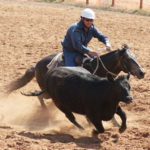 Simon is happy to admit it was a learning curve that changed his life. 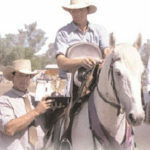 It was the time when Mark Buttsworth was first campaigning Double Doc and it was the first time Simon had seen Mark compete. 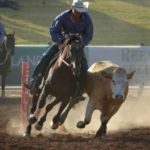 He was blown away by the intensity of the opposition and realised that there was a whole new level of competition to be experienced. There was also so much more he needed to learn. 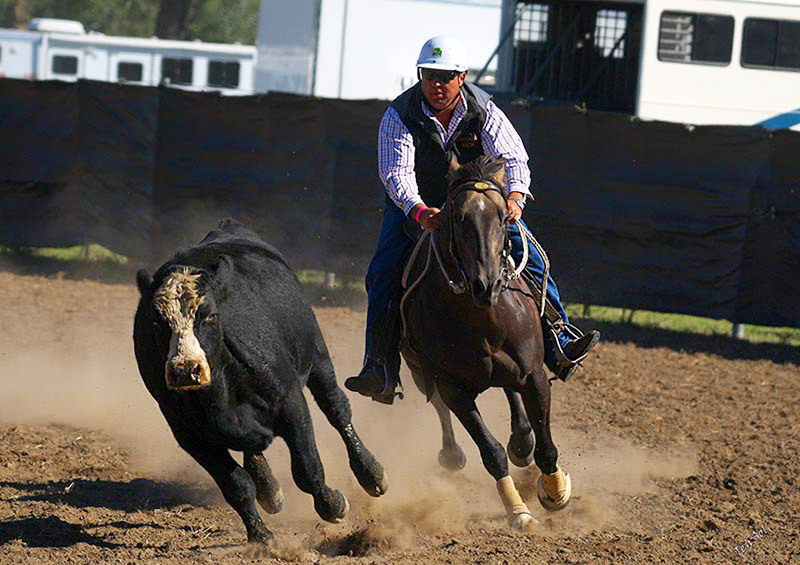 Then and there he decided that he needed to get to Warwick and the bigger competitions. 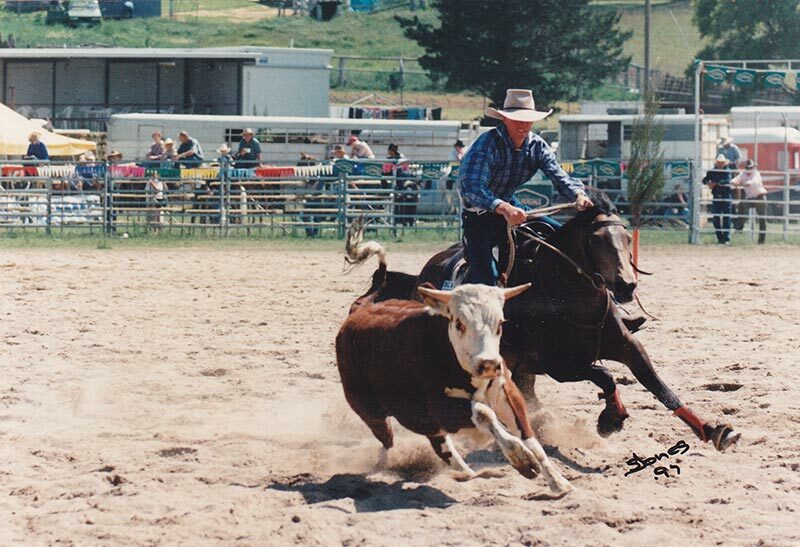 He needed to experience the bigger atmospheres, experience the pressure of competing against the best on a regular basis and to try and match it with them. 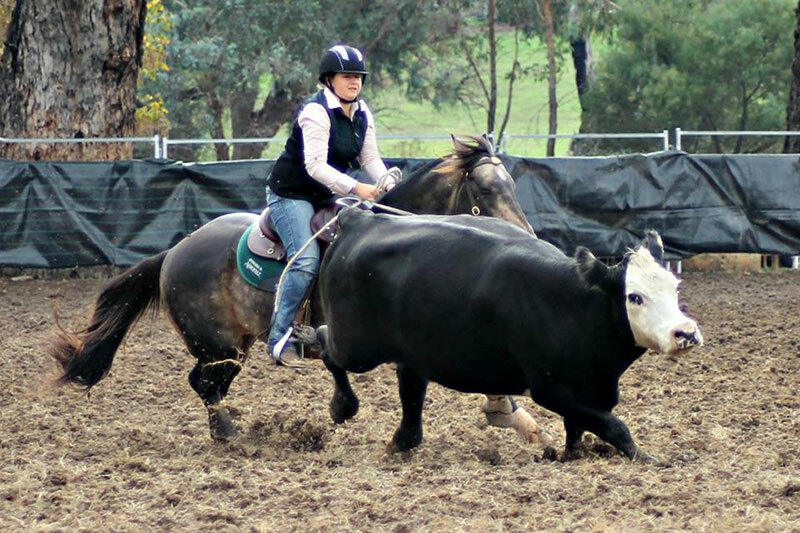 As the years rolled by Simon and Debbie started looking for a new sire to replace A1 Tasso. 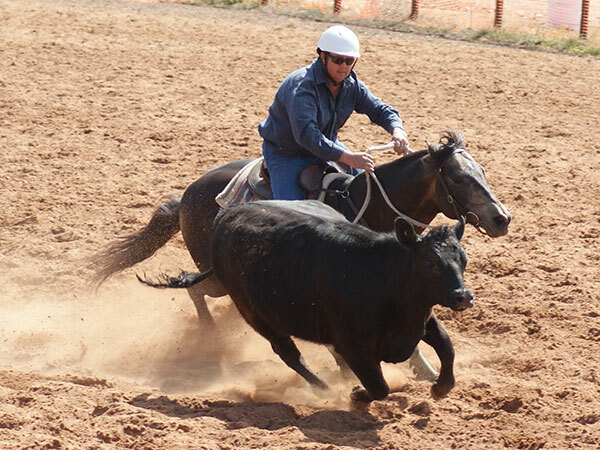 They decided on a Stock Horse to put over their A1 Tasso mares and Simon was interested in the Adios Reflect breed. 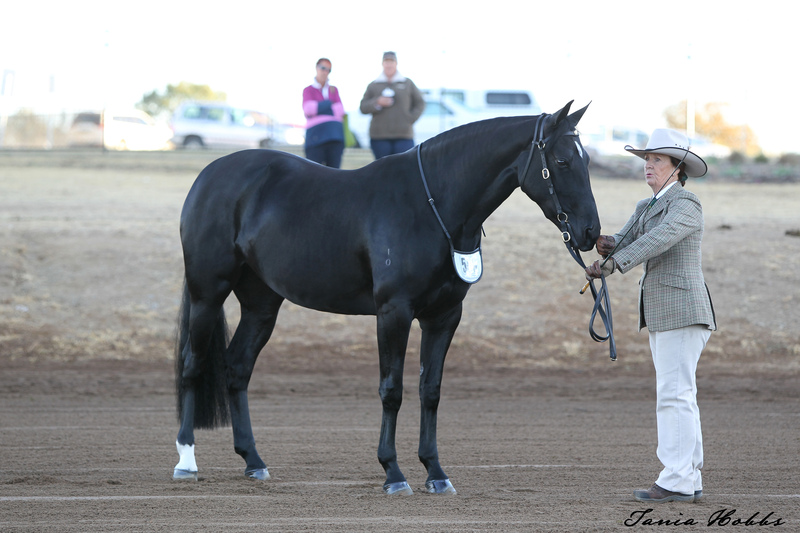 He was impressed with how Reflect was crossing with Omega mares and Wallabah Excel represented exactly this cross. 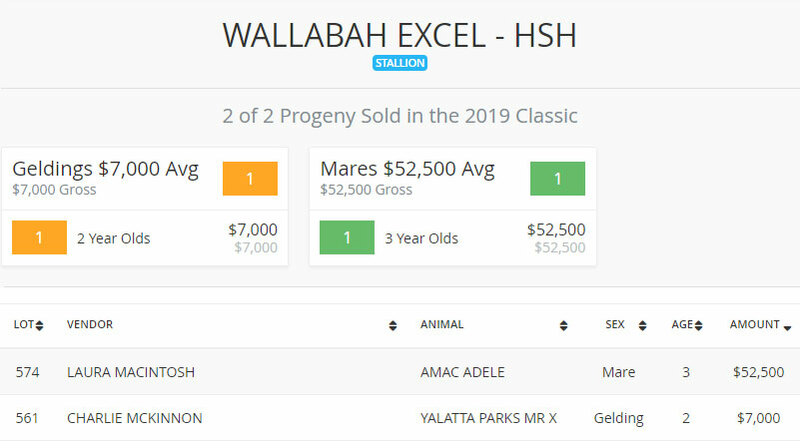 Wallabah Excel is the horse they were hoping for. 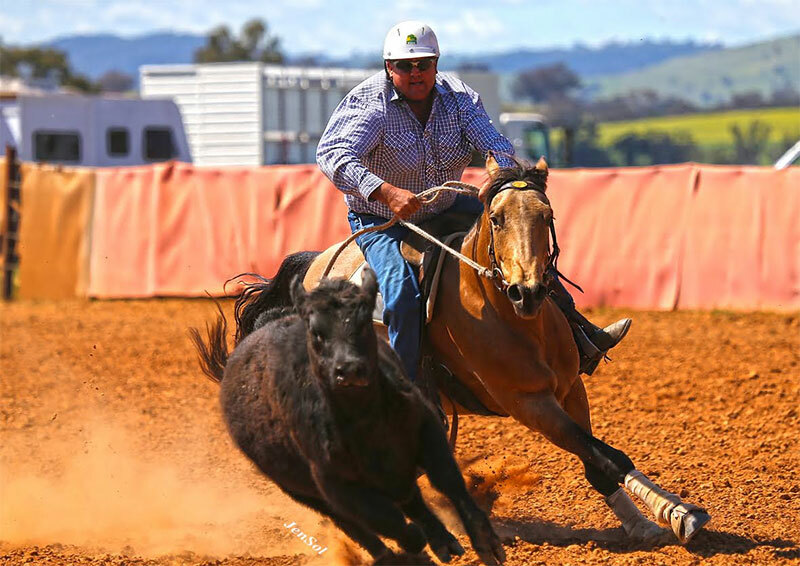 He is a horse that all the family compete on and his ability and desire to compete make him ideal for the Yalatta Park Stock Horse Stud vision. 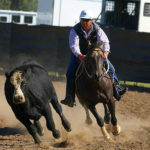 Excel has exceeded expectations having won numerous titles in the Southern Campdraft Association as well as taking his riders to title wins as well. 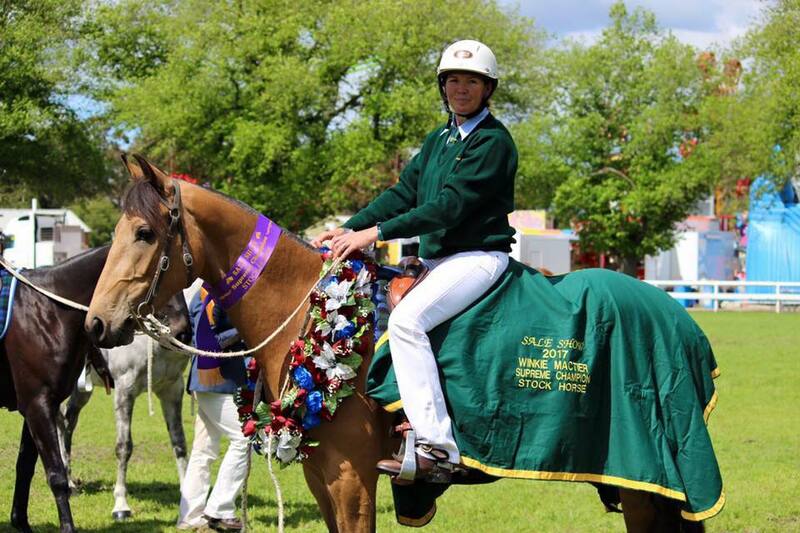 The biggest highlight to date with Excel is winning the prestigous JHS Barnes Memorial Trophy at Warwick in 2016. 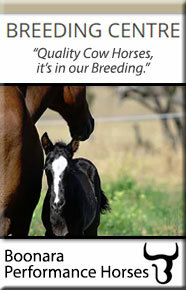 Simon and Debbie also get a huge thrill out of hearing from owner/breeders who are enjoying success with his progeny. 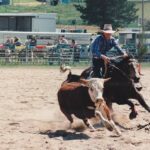 Winner of over 60 campdrafts, including 31 opens. 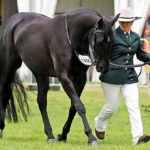 All Round Horse of the Year. 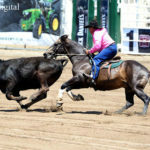 Open Horse of the Year. 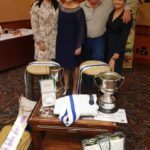 Warwick Ladies Silver Cup – =5/6/7th with Debbie Dodwell. 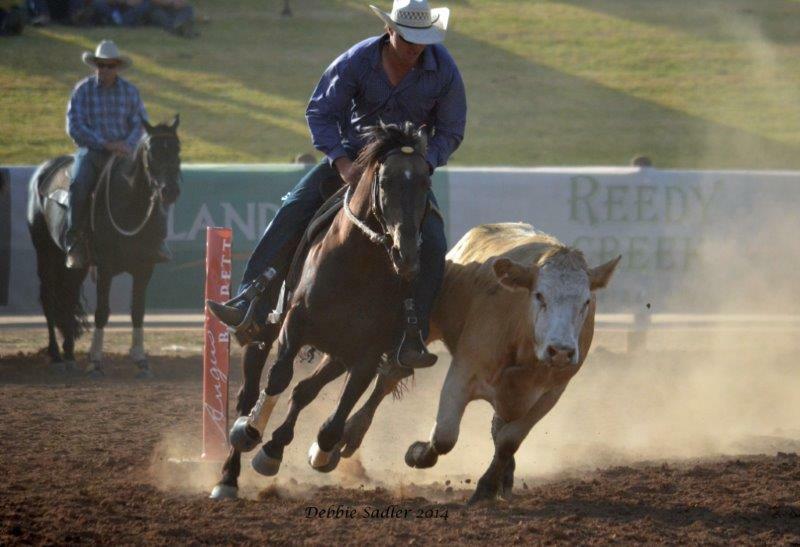 National Campdraft rider of Australia – 2nd with a 3 round total of 256.5 (78.8, 89, 89). 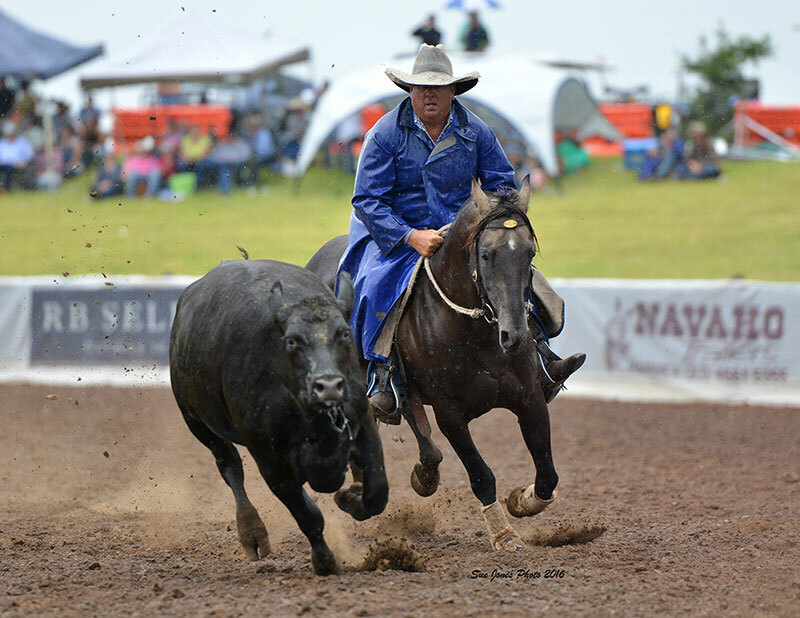 Highest Scoring Australian Stock Horse in the SCA Open Horse Category. 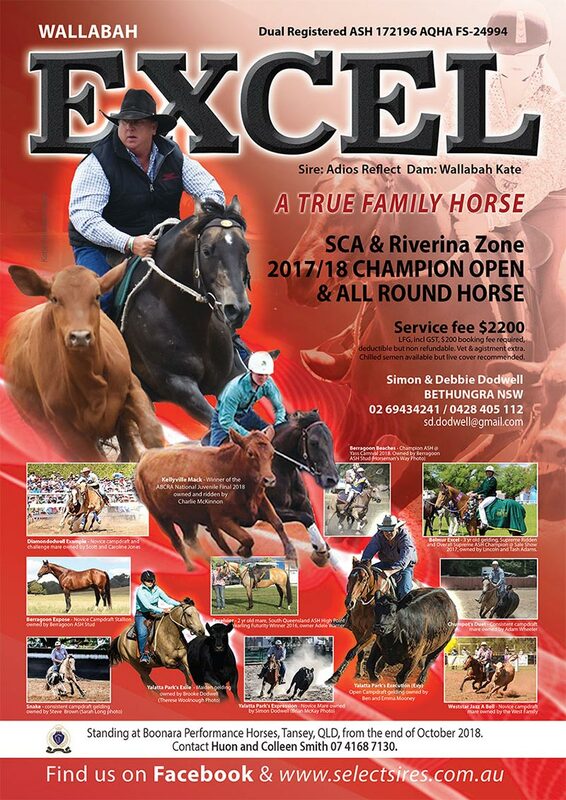 Excel progeny are stacking up! 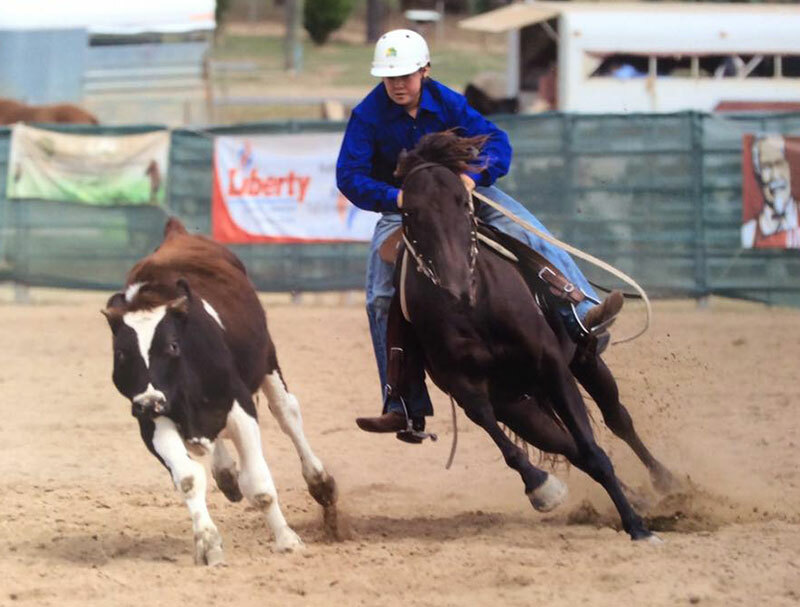 Wallabah Excel’s progeny are EXCELLING in the led, hack and working and more recently campdraft arenas. 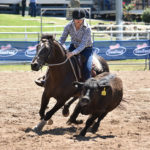 Type, temperament, trainability and a flare for the flat work disciplines are proving to be the standout qualities of these young offspring as they enter their various show programmes. 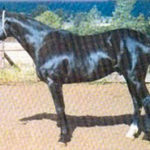 7 yr mare old. (June 2017). 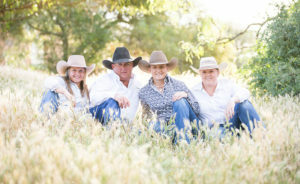 View Video Footage & more photos of Excess Video by Dodwell family. 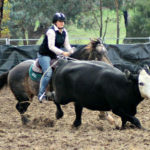 1st 4yr old Hack Central Vic ASH Show. 1st 4yr old Working Central Vic ASH Show. 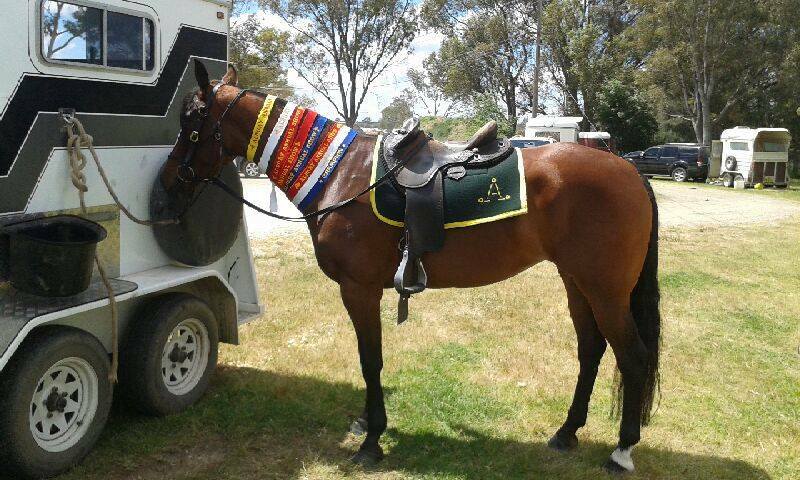 1st Led Mare 4yrs Albury Show. 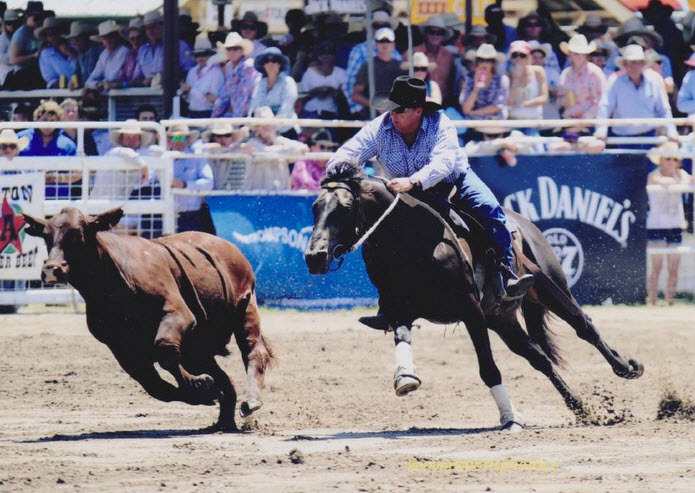 Champion Led ASH Albury Show. 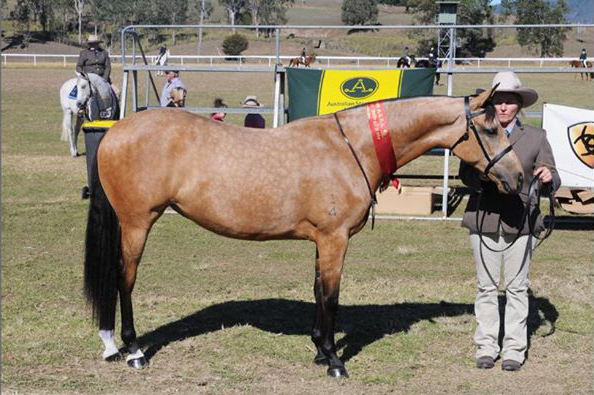 1st Led ASH mare Nathalia Ag Show. 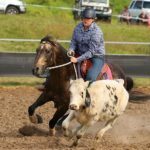 Reserve Champion Led ASH Nathalia Ag Show. 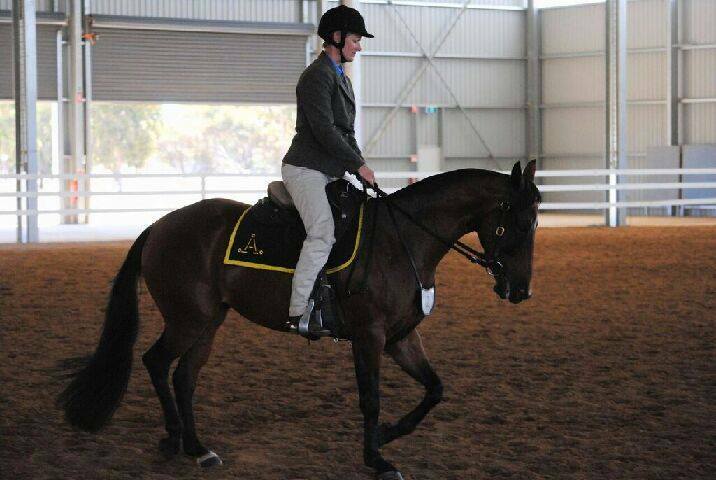 1st Ridden ASH Nathalia Ag Show. 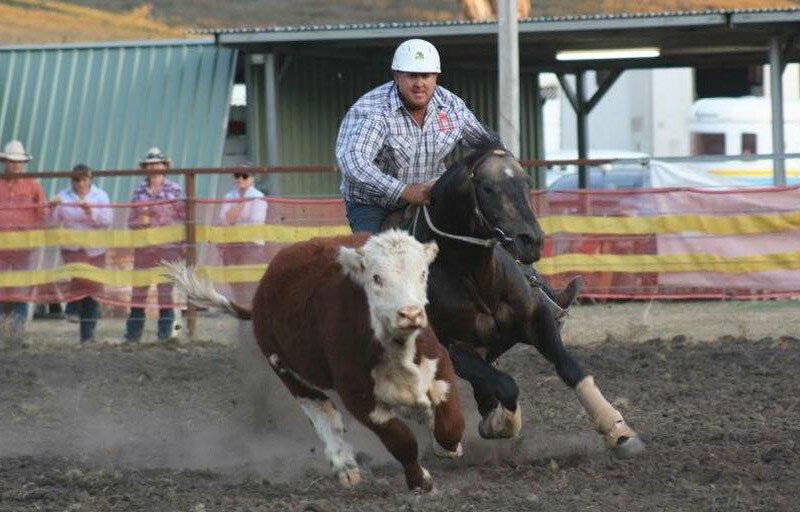 1st Led ASH Corowa Show. 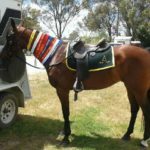 Champion Led Junior Exhibit Corowa Show. 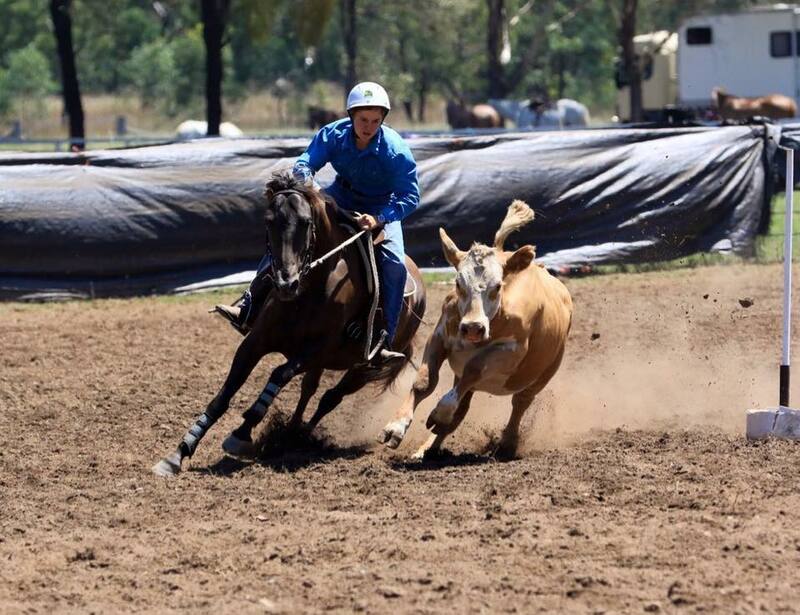 1st Working ASH Corowa Show. 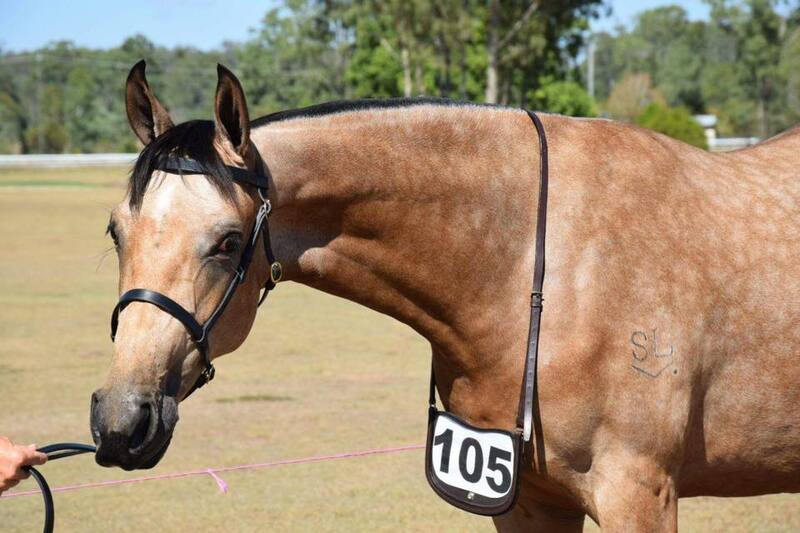 Owned and shown by Adele Warner. 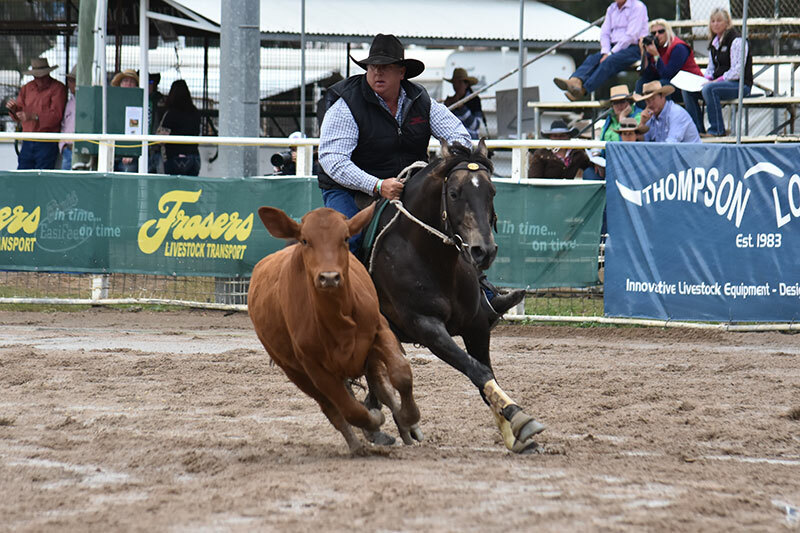 South Queensland Management Council ASHS Yearling Futurity Series Winner. 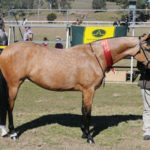 – 1st 2yr old and under buckskin filly. Purchased from Landmark as a 2 year old, $8000. 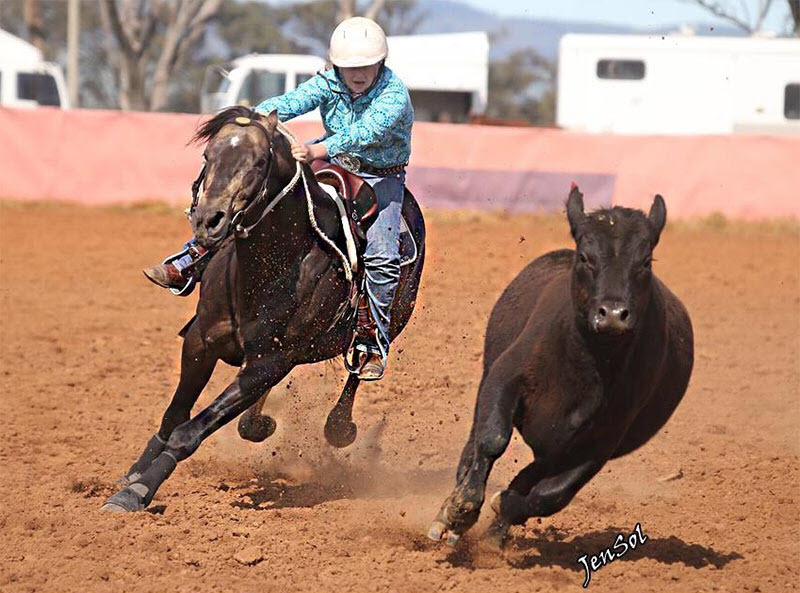 As a sire Adios Reflect represents everything a campdraft breeder would be looking for. 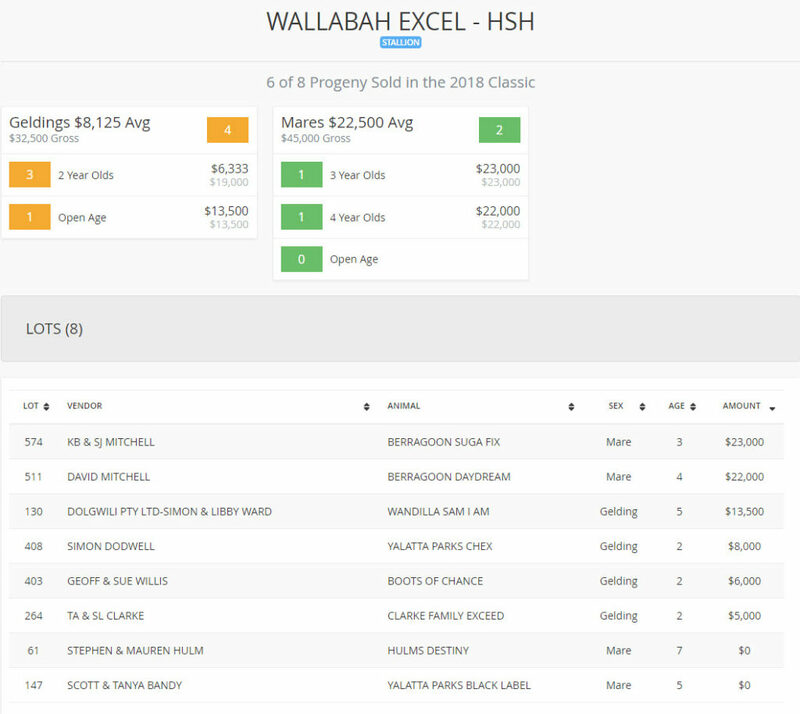 He comes from a very strong mare family, which includes Warwick Gold Cup winner, Bruce Hollis’ Abel, and Graeme Clarke’s Gold Cup 2nd placegetter, Direct. 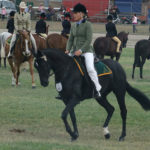 Other quality mares from this family include Bruce’s other mares, Yvonne and Select. 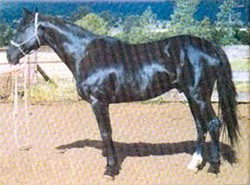 He then boasts another great campdraft family through his Gold Cup winning sire, Abdul. 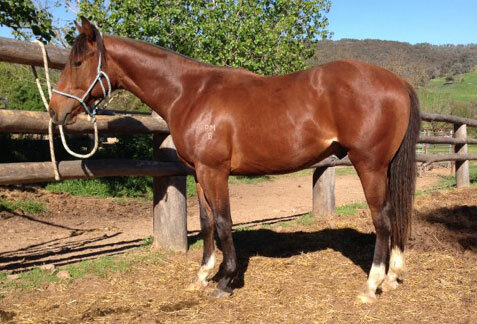 Warwick Gold Cup winner and more importantly the sire of many great performance horses. 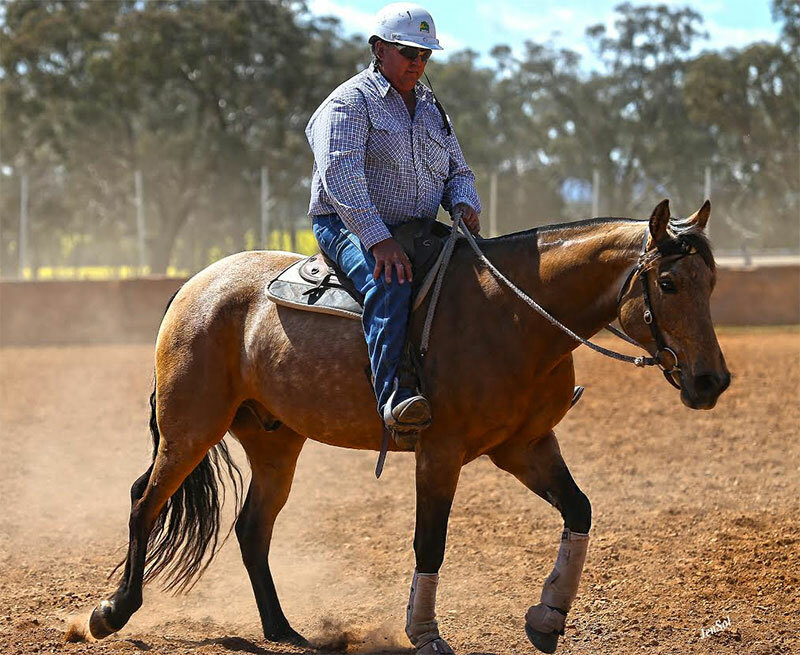 Warrenbri Omega horses have been the sale toppers at Stock Horse sales throughout the last decade and his contribution to the industry can only be described as phenomenal. 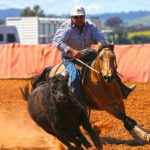 National Campdraft rider of Australia (NCCA) – 2nd, with a 3 round total of 256.5 (78.8, 89, 89). 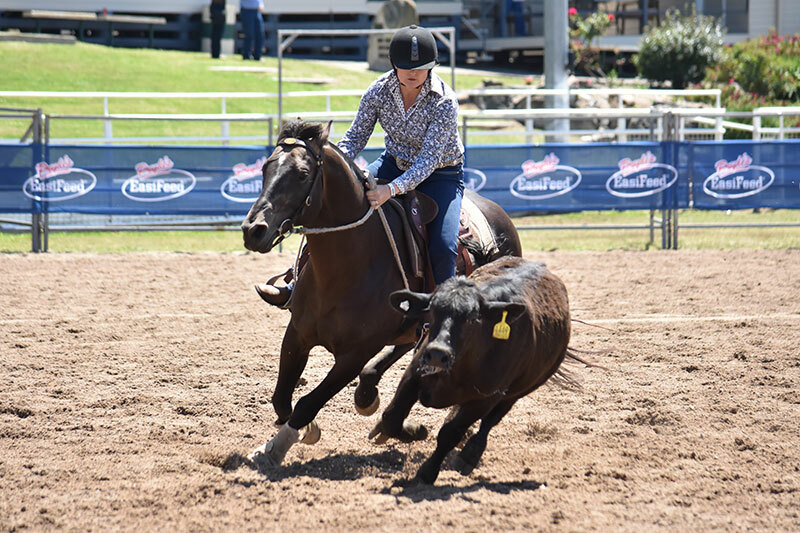 2015 Landmark Classic – Sold for $46,000. 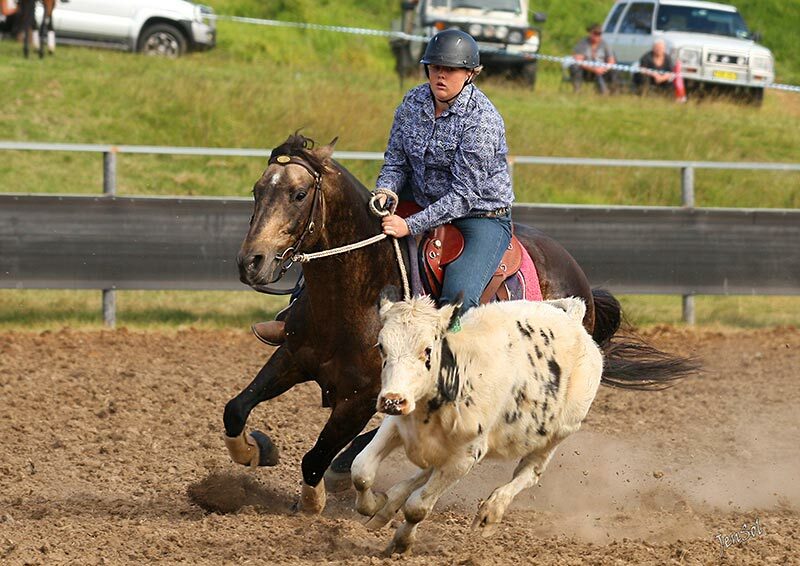 Top priced aged mare.